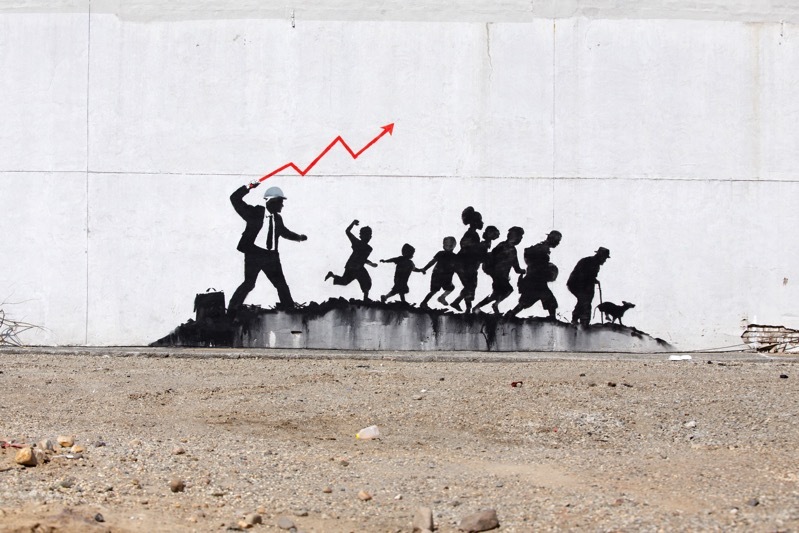 Banksy on Coney Island Avenue in New York City « Adafruit Industries – Makers, hackers, artists, designers and engineers! Banksy’s back and it looks like he’s discovered one of New York’s lesser known truths: Coney Island is way better in the off-season. Dubbed “The Whip” and as usual with Banksy, the stencil goes straight to the point. It shows a business-man whipping a group of people using a whip depicted as a stock-market graph. If you are in the area, we would recommend going to check it out quickly before it gets defaced. Take a look at more images below and keep checking back with us for another new probable Banksy piece ( once its confirmed ) in New York City called “You Loot, We Shoot”.